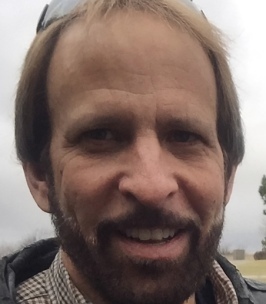 Entrepreneur and Agribusiness executive, Larry Shipley, died suddenly at his South Dakota home on November 4th, 2018. He was 62 years old. Shipley was the President of IBP Enterprises (1997-2001) and Chief Financial Officer, IBP Inc. (1994-2001). Headquartered in facilities that Shipley designed and constructed in Dakota Dunes, South Dakota, IBP was a $17 billion Fortune 120 company known worldwide as the premier producer of fresh beef and pork. Shipley was born Fred L. Shipley, Jr., in 1956 in St. Louis, Missouri, the third of four sons to Fred Larimore and Virginia Lee (Daly) Shipley. He grew up in suburban St. Louis where he attended Our Lady of the Pillar elementary school and graduated from DeSmet Jesuit High School in 1974. He earned a bachelor’s degree in Mechanical Engineering with an electrical engineering minor from Purdue University in West Lafayette, Indiana, in 1977 and graduated with a Master of Science in Marketing (MBA) from Purdue’s Krannert Graduate School in 1982. Shipley worked as a Manufacturing Process Engineer with Mid-America Dairymen (1978-1980) in Springfield, Missouri, and Director of Dairy Consulting Services (1982-1989), providing a broad range of consulting services, from boutique firms to client corporations, including members of the Fortune 500. He was recruited to join IBP in 1989 as Assistant to the President, working alongside IBP’s CEO in the day-to-day management of the company. Shipley later served as Assistant to the Chairman (1990-1994) and was promoted in 1994 to Executive Vice President Corporate Development and then Senior Vice President Corporate Development. His contributions included establishing an award-winning corporate web site and the $670 million acquisition of Foodbrands America. In 1997, Shipley became IBP Chief Financial Officer and President IBP Enterprises. Under his leadership, he integrated eight acquired companies into the corporate portfolio, established the company’s first e-commerce presence, and developed foreign operational and investment joint ventures in Korea, China and Russia. He was instrumental in leading the three-billion-dollar purchase of IBP by Tyson Foods in 2001. In 2003, Shipley founded his own management consulting practice offering advisory services to client companies in the food, agribusiness, manufacturing, service and renewable energy industries. As a consultant, he was beloved by his clients for his expertise in finance that led to bottom line increases. Loyalty was his trademark and he was known for always putting his clients’ needs first. A meticulous craftsman, Shipley was working on a gut renovation of his historic home. He was a fan of classic cars, musical groups such as The Eagles and Queen, and enjoyed assembling music lists for various social occasions. Shipley was preceded in death by his mother in 1977, his father in 2003, and his beloved German Shepherd, Maggie, in 2016. He is survived by his three brothers, Patrick (Dianne Barnes) Shipley of Aurora, Colorado; Michael (Kathleen Neuenschwander) Shipley of Kirkwood, Missouri; and Stephen Shipley of West Plains, Missouri; two nephews Christopher (Kathryn Gauvin) Shipley (God son) of Fairfax, Virginia and Brian (Laura Miller) Shipley of Castro Valley, California; and four great nieces, Eleni and Daphne Shipley of Fairfax, Virginia, and Savannah and Violet Shipley of Castro Valley, California; as well as cousins in both Missouri and Tennessee and many other dear friends, neighbors and colleagues. A Reception and Celebration of Life will be held from 3pm to 7pm on Friday, February 15, at the Red Steakhouse, One East Main Street, Vermillion, South Dakota. In lieu of flowers, the family has requested memorial contributions to The Warming Shelter, a Sioux City Homeless Assistance Charity, at thewarmingshelter.com, or to St. Jude’s Children Research Hospital by searching for the Larry Shipley St. Jude Memorial Fund at giftfunds.stjude.org. I’m so sorry for your loss. What has helped me in times like these is Revelation 21:4 which says, “And he will wipe out every tear from their eyes, and death will be no more, neither will mourning nor outcry nor pain be anymore. The former things have passed away.” I hope this will comfort you as it has me. If you need anyone to talk to, feel free to reach out to me.